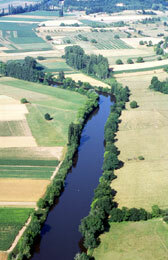 The Dordogne is located in South–West France, between the Aquitaine Basin and Massif Central. 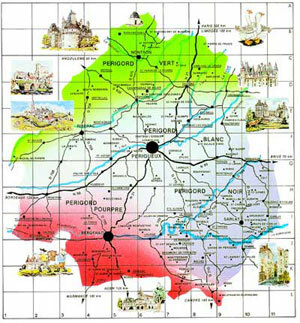 With its 9,060 square kilometres, Dordogne is the third largest département (county) in France. Dordogne’s population was estimated at 415,000 inhabitants in 2010. The principal towns are: Périgueux (county town), Bergerac, Sarlat, Nontron, Terrasson and Ribérac. 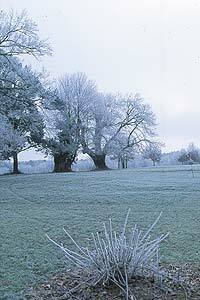 The Dordogne enjoys a temperate climate providing lovely vacations all year round. With temperature between 25 and 35 degrees Celsius, summer is obviously the perfect season to enjoy all the Périgord has to offer. Generally, the sun is ever present even if some storms come and bring a little bit of much appreciated coolness. 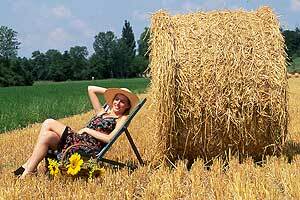 Like everywhere else in France, top temperatures were recorded in 2003 with 42 degrees in some areas of the Périgord. With an airstream coming in from the Atlantic coast, autumn and winter are generally mild and wet, with some cold snaps, which are rarely severe. (We saw some exception though: in 1985/1986, temperatures were recorded at -20/-25 degrees). With the Atlantic Ocean nearby, winter can also bring very strong winds. 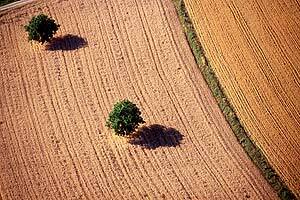 In 1999, one such storm devastated the forests of the region with winds recorded at 170km/hour. - The Palaeolithic period: Ice age period is characterised by the drawings and engravings of reindeers and mammoths, which were famously found on cave walls within the Département (Rouffignac, Lascaux, etc). During this period (400 000 years BC), prehistoric man lived at the bottom of limestone cliffs. This is the reason why most of the prehistoric sites of the Palaeolithic age are spread accross the valleys of Vézère and the Dordogne. 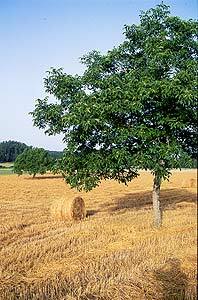 - The Neolithic period (3000 years BC): It is characterised by a period of settlement that included the adoption of agriculture and the development of tools (copper, bronze, iron). The antiquity is characterized by the birth of the petrocores territory (Gaul’s community, 400 BC), which after the Gaul’s war, became one the towns of the Aquitaine Roman province with Vesunna being the county town. During this period, Vesunna acquired important urban infrastructures (aqueduct, amphitheatre, etc) the remains of which can still be found in Périgueux. 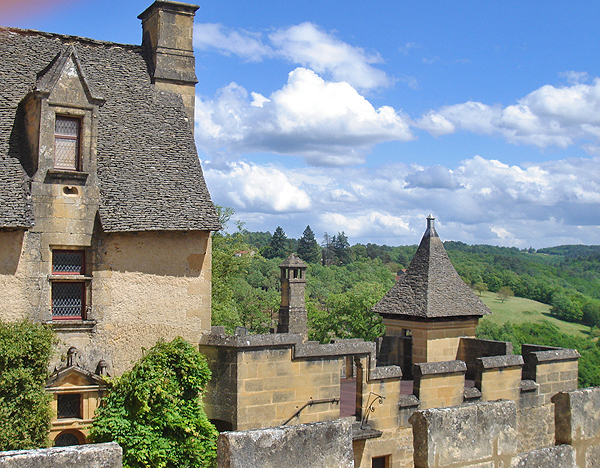 In Dordogne, there are over 1,000 castles, manors and country houses along all the valleys of the Dordogne, la Vézère and l’Isle et de la Dordogne. 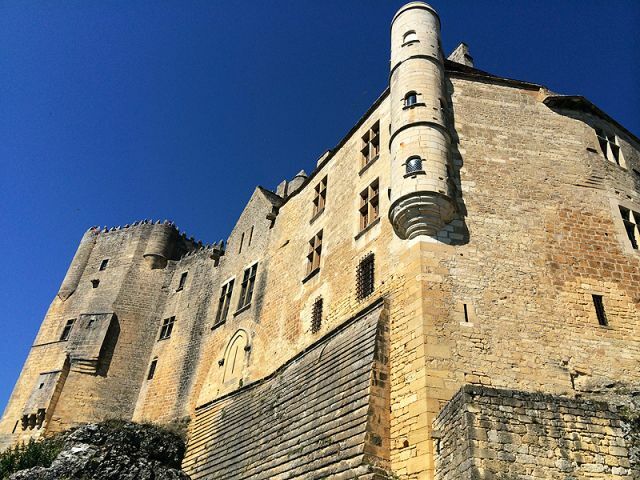 The construction of these castles extends from the 11th Century to the French Revolution. These castles, as they are today, are characterized by the combination of various architectural periods. Bastides were created between the 13th and 14th century and located in the southwest of the département (country of Dropt). Bastides are a legacy of the battle between the King of England and the count of Toulouse (whose Bastides were built in the Agen area). The distinctive feature of the bastide is its geometrical plan around the market place (Monpazier). We suggest you visit our chapter “Visiting Périgord”, this will give you a general picture of the historical, architectural and natural treasures for each of the four Périgord regions. Black Périgord: Sarlat; most of historical sites and castles, forests, the Vézère Valley and the Dordogne Valley. Purple Périgord: Bergerac and its vineyards, south of Dordogne ands its “pays des bastides”. Périgord is undoubtedly one of the French departments with the highest concentration of national treasures: Castles, Abbeys, “Bastides”, Priories, Archeological and Troglodytes sites, Caves and Caverns, Gardens, Museum, Theme Parks, and so many reasons for a holiday in the region that you can find more details in the chapter “tourist sites”. Bergerac wines: the famous Monbazillac and Pécharmant. Gastronomy is one of the pillar of the Périgord’s life, each village or “bastide” du Périgord have markets with specialities such as geese and ducks products, black truffles or ceps (depending on season) and also the International Book Fair Gourmand which take place every two years in Périgueux. There are many good restaurants, and you should take the time to stop and taste the local cuisine, its tourin (garlip soup), geese and duck specialities, cheeses (Le cabécou), its desserts. Discover more in our chapter “Restaurants”. You will find in our chapter “accommodation” all the options you would expect: campsites, guest houses, self-catering accommodation, holiday villages, Bed & Breakfast and hotels of all ratings. From the most luxurious room to the most basic one, you will find something to your satisfaction in Périgord. Sarlat Truffle Festival and Foie gras and truffle Culinary Academy (Fête de la Truffe et Académie du foie gras et de la truffe): Sarlat, one weekend in January. Sarlat Walnut Festival (Fête de la noix): Sarlat, February. Sarlat Goose Fair (Fest-Oie) Festival: Sarlat, Beginning of March (one week-end). Local Products Day: Sarlat, Ascension day, Thursday and Friday. Saint Georges Celebration, Périgueux, beginning of May, biggest fun fair of the départment Dordogne for the past 100 years. Félibrée: First Sunday of July, Occitane folk fair taking place in a different town each year. Terrasson “Imaginary Pathways” Festival (Festival “Les Chemins de l’Imaginaire”: Terrasson, July. Montignac “In & world music” Festival (Festival “Danses et Musiques du monde”: Montignac, July. Ribérac “Music and lyric in Riberacois Festival: (Festival Musiques et Paroles en Riberacois) Ribérac, July. Cyrano de Bergerac’s Table (La Table de Cyrano): Bergerac, mid-July. A popular and gastronomic festival around local products. Périgueux Truffe Festival (La Truffe de Périgueux): July and August in Périgueux. Périgueux Mime International Festival (Festival International du Mime): Périgueux, August. Sarlat Theatre Festival (Festival du Jeux de Théâtre): Sarlat, July and August. 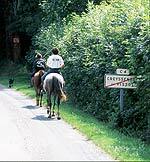 Ans Country Festival (Festival du Pays d’Ans): Green Périgord, in July and August (Tourtoirac, Badefols and Hautefort). Bergerac Musical Summer (L’été Musical): Bergerac, July and August. Nontron Knife Festival (fête du couteau): Nontron, first weekend of August. Black Périgord Music Festival (Festival de Musique du Périgord Noir), Saint-Léon sur Vézère, August. Sinfonia in Perigord Festival (Festival Sinfonia en Périgord): Périgueux and around, End of August, beginning of September. Gastronomy Festival: (Journées de la Gastronomie): End of September (One weekend). “Le Périgord”; Ouest France Edition. “Périgord Castles” (Les Châteaux du Périgord”); Ouest France Edition. “Prehistorical sites in Périgord” (Les sites préhistoriques en Périgord”; Ouest France Edition. “Périgord Bastides” (Les Bastides du Périgord); Ouest France Edition. “Dordogne Stories” (Contes de Dordogne),M. Cosem, Fanlac Edition. "Le Guide Vert Périgord Quercy" - "Editions de Voyages - Michelin"
"Le Petit Futé Dordogne" - "Nouvelles Editions de l'Université"
Various publications and documentations from the Dordogne Tourist Offices. “The Tatoo” aka “Le tatoué” (1968) by Denys de la Patelière, with Jean Gabin and Louis de Funés. Shouting in Domme. "The black Perigord" (1989) by Nicolas Ribowski with Roland Giraud and Jean Carmet. Shooting in Sarlat. "La Soule" (1989) by Michel Sibra with Richard Borhinger. Shooting in Beaumont and Issigeac. "La Fille de d'Artagnan" (1994) by Bertrand Tavernier with Sophie Marceau and Philippe Noiret Shooting Castle de Beynac and Sarlat. "La Rivière Espérance" (1994) by Josée Dayan, with principal deco the Dordogne river. “A Cinderella Story” La Véritable Histoire de Cendrillon (1998) by Andy Tennant with Drew Barrymore and Anjelica Huston. Shooting in Hautefort.